Save on energy costs with our high-temperature insulation blankets featuring a Nylon polymer zipper. The quilted silicone impregnated fiberglass insulation blanket is resistant to abrasions, flexing, tearing and punctures. 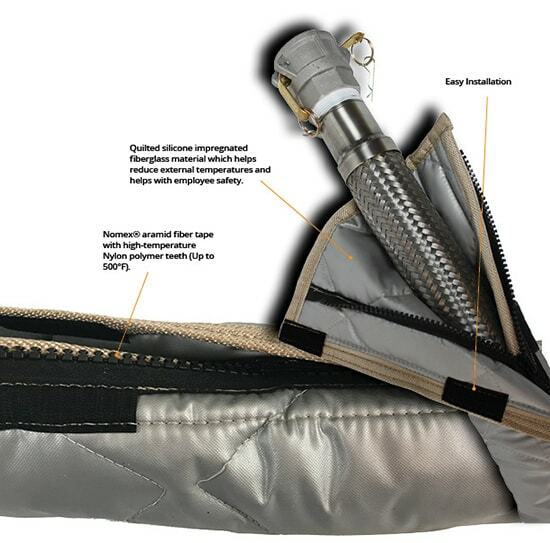 The Nomex® aramid fiber tape with high-temperature Nylon polymer teeth zipper and insulation blanket are both made for temperatures of up to 500°F.